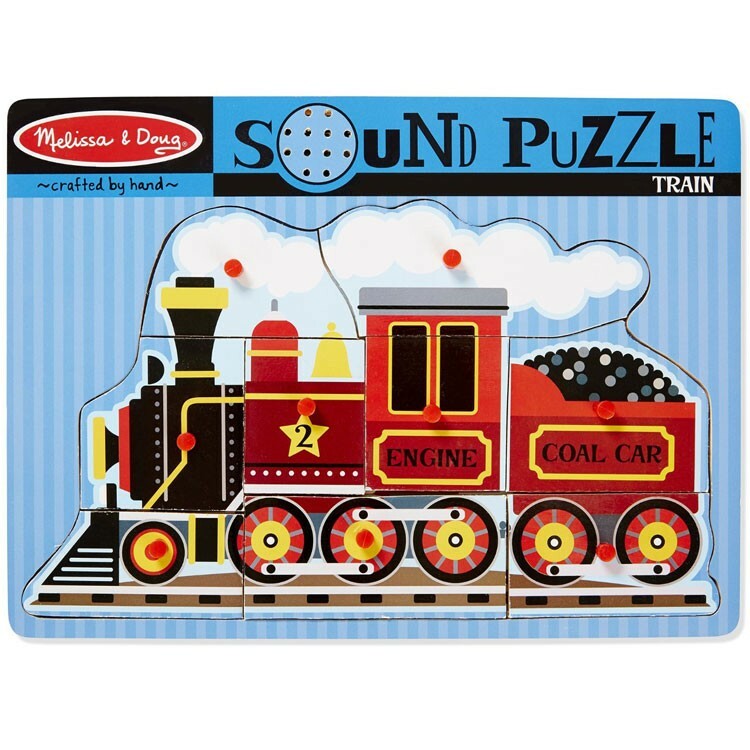 Melissa & Doug's Train Sound Puzzle combines puzzle fun with all the best train sounds. 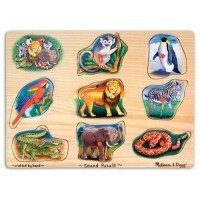 Choo Choo all aboard the Train Sound Puzzle! 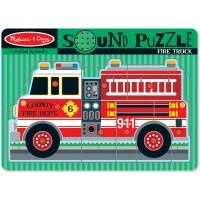 Melissa & Doug's Train Sound Puzzle combines puzzle fun with all the best train sounds. 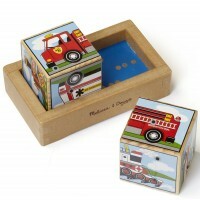 Simply place each vibrant wooden piece on top of the matching illustrated spot on the sturdy board, and listen up! 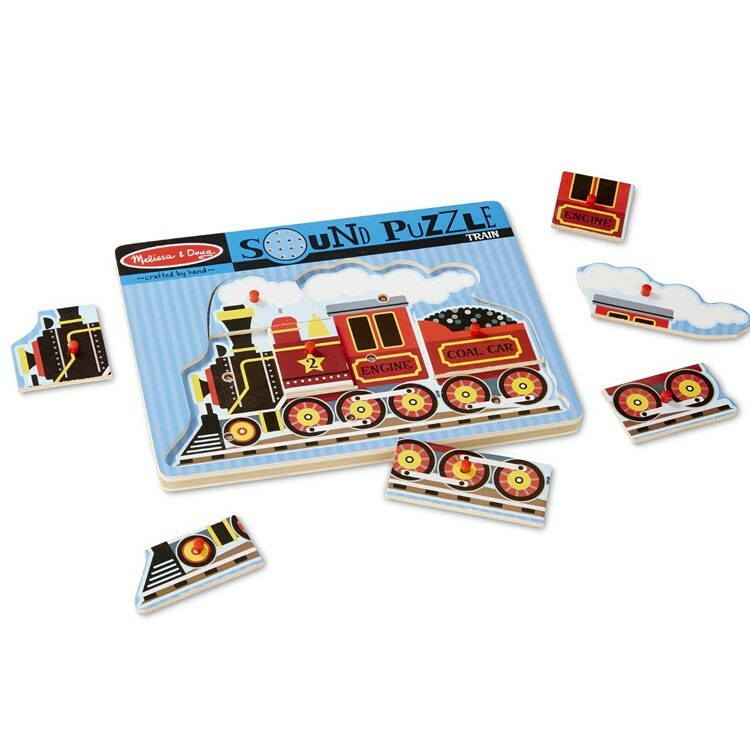 Real train noises will come right from the puzzle. 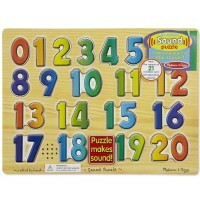 Offered by Educational Toys Planet, this toddler activity toy features the safest design and will help your child sharpen fine motor skills, problem solving and sound recognition. 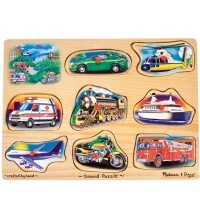 All little engineers get ready, listen and play with 9 pieces Train Sound Puzzle! 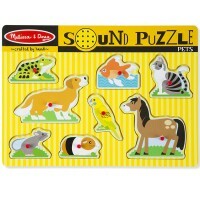 Write your own review of Train Sound Puzzle. Rating: 5 My grandson is all about trains! by Traci My 3 year old grandson enjoys putting the train together. His eyes light up when it's completed and the whistle blows . 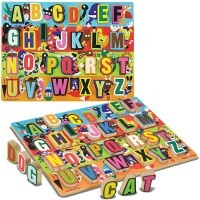 It's fun and also educational. 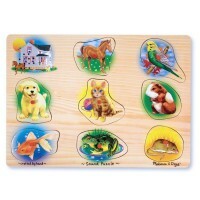 Rating: 5 by ANGELA, TX Like that the exact puzzle picture is underneath the puzzle pieces so it makes it very easy for my son to put the puzzle together by matching the piece with the picture.... he loves the sound it makes when he completes the puzzle!!! 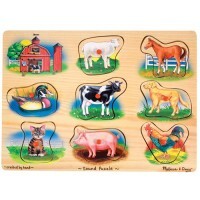 Rating: 5 by Gail, NY A great toy. Substantially built and makes a noise. Really terrific. 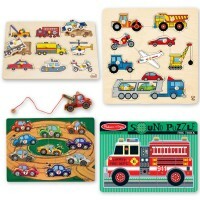 Rating: 5 by MICHELLE, TN Our 2 year old nephew likes trains and can put this puzzle together with help.